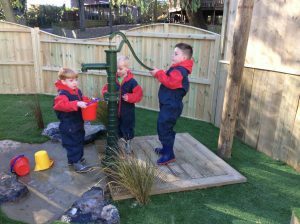 In the Early Years foundation stage each child is allocated a key worker who will help to settle your child into nursery. 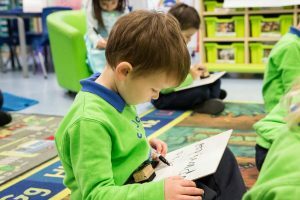 Then throughout your child’s time in the nursery they will make observations of your child’s progress and learning. The Class Teacher will then speak to you about how your child is settling in and the progress they are making and you may speak to your child’s Teacher at any time. Learn to share toys and equipment. Learn how to value and interact with others. Be aware of their own needs/feelings and those of others. Learn about the Catholic faith. Develop respect for a range of cultures and beliefs. Form good relationships with adults and their peers. This will be achieved through: Circle-time activities. Games. Stories. School worship and celebration. Religious education topics. Group and independent work. 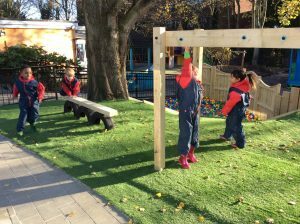 Free and structured play. Use language in a variety of situations. Listen and respond to stories, poems. Use their imagination to role play. Speak clearly and with confidence in full sentences. 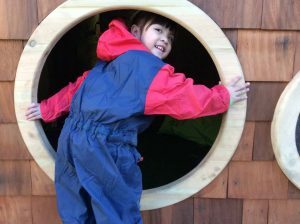 This will be achieved through: Free and structured play Imaginative role-play. Listening activities. Story time. All scoffolded by ECAT (Every Child a Talker) practitioners. Move with imagination and in safety. Be controlled and co-ordinated in their movements. Be aware of space and of others. Understand how to keep healthy. Understand what happens to their bodies when they are active. Handle tools, objects and materials safely. This will be achieved through: Mark making and talking about marks. Activities to improve fine motor control. Outdoor toys. Construction toys. Making models. Using play-dough. Games. Practising basic skills in climbing, balancing, dance and games. Learn letters by sound and name. Use phonic knowledge to enhance their reading and writing skills. Learn to form letters correctly. Choose books and handle them correctly. Build up a sight vocabulary of words. This will be achieved through: Drawing and colouring. Books. Games/jigsaws. Phonics scheme activities. Guided reading/writing. Writing in a wide range of situations. Use, recognise and write number names. Develop their mathematical language and skills. This will be achieved through: Games/Puzzles. Practical activities. Whole class carpet sessions. Number rhymes. Describing and devising simple patterns. Sorting and matching. Using Mathematical language. Sand and water play. Small world/role-play. Using 2D and 3D shapes. Using the computer. Counting, reading, writing and ordering numbers. Use their senses for variety of activities. Find out about living things, objects and events. Look at similarities, differences, patterns and change. Find out about past and present events. Identify features in the natural world. Know about some features of other cultures. This will be achieved through: Investigating materials and objects. Asking questions. Gaining information from a range of sources. Construction toys. Class/group discussions and practical activities. Choosing materials and toys. Sand and water play. Using computers, such as Beebots, the interactive table, technology in the home corner as well as around the school. Growing/caring for plants/ Visits/visitors. Nature walks/activities outside. Explore colour, texture, shape, form and space in 2D and 3D. Recognise sounds and patterns in sounds. Use their imagination in art, music, design, dance and role-play. Respond, express and communicate their ideas, thoughts and feelings in a variety of ways. This will be achieved through: Singing. Experimenting and performing with instruments. Imaginative role-play. Drama. Responding and listening to different types and styles of music. Exploring materials e.g. paint, clay, chalk, pastels, pencils, collage and junk modelling. Observing artists work. Appreciating and evaluating their work and that of others. Music and movement sessions. Producing pictures, models etc. linked to topic work. Try to establish a routine for school days. When parents share books with their children regularly reading becomes a more enjoyable experience and progress in learning to read is enhanced. Share books as often as possible. Talk about print you see at home or when you are out. Let them see you enjoying reading. Discuss stories, predicting what might happen next. Share poems and rhymes with your child. Talk about the cover and pictures in stories. Ask your child to tell their own story using the pictures. 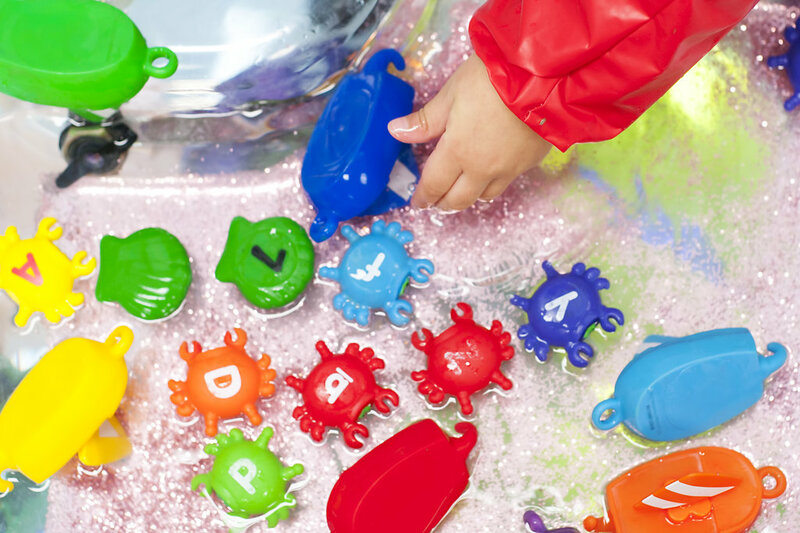 Playing I-spy, – use letter sounds rather than names. Weigh and mix ingredients for cooking. Count in different situation e.g. stairs, buttons on coats, people at dinner table etc. Identify shapes and colours inside and outside your home. Describe and sort things into sets e.g. big/small, heavy/light, rough/smooth. Recognise numbers up to 10, then 20. Gardening (let them help you care for a small section of plants).